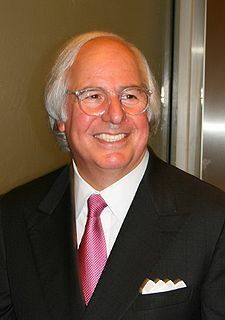 Frank William Abagnale, Jr. (born April 27, 1948 in Bronxville, New York City, USA) is an American security consultant. He used to be a check forger, impostor, and escape artist. He had a bad reputation in the 1960s for passing $2.5 million worth of carefully forged checks across 26 countries for five years, beginning when he was 16 years old. He claimed to have created no fewer than eight separate identities, impersonating an airline pilot, a doctor, a prison agent, and a lawyer. He escaped from police custody twice (once from a moving airplane at the airport and once from an American prison), before he was 21 years old. He served less than five years in prison before starting to work for the American federal (national) government. He is a consultant and lecturer at the academy of the Federal Bureau of Investigation or FBI, which is the national police of the United States. He also runs Abagnale & Associates, a financial fraud consultancy company. Abagnale's life story was made into the movie Catch Me If You Can directed by Steven Spielberg in 2002 and starring Leonardo DiCaprio and Tom Hanks. It is based on the autobiography Catch Me If You Can by Frank Abagnale. A Broadway musical Catch Me If You Can opened in April 2011 in New York City. ↑ Luke Mullins (May 19, 2008). "How Frank Abagnale Would Swindle You". U.S. News. Retrieved 2011-02-14. ↑ "Abagnale & Associates: Frank W. Abagnale". abagnale.com. Retrieved 2011-02-14. This page was last changed on 29 October 2018, at 22:02.